SLP Mode | stuff by Matt Wild | A.V. Club Milwaukee | Help Milwaukee become a “creative powerhouse” by…blowing up a car? A.V. Club Milwaukee | Help Milwaukee become a “creative powerhouse” by…blowing up a car? Kickstarter is a fact of life for today’s struggling artists. Whether it’s a film, an album, or some desperately needed van repairs, there seems to be no end to the variety of projects that are hawked on the popular crowdfunding website. As such, it’s nearly impossible to shine a light on every single deserving Kickstarter campaign out there—even ones with strong Milwaukee ties. But every once in a while, a local plea for cash comes along that is so bizarre, so perplexing, and so goofy that it demands special attention. Exhibit A: Love MKE. Blow Up A Car. Milwaukee’s Creative Talent Is Second To None! Our goal: Prove to the world that Milwaukee is the new creative powerhouse, with the capabilities, tools, and talent for projects of any size, anywhere. So pledge what you can, and share with your friends, and together we can put Milwaukee firmly on the creative map (and blow up a car on the way)! Blowing up a car to “prove to the world that Milwaukee is the new creative powerhouse”? Huh. 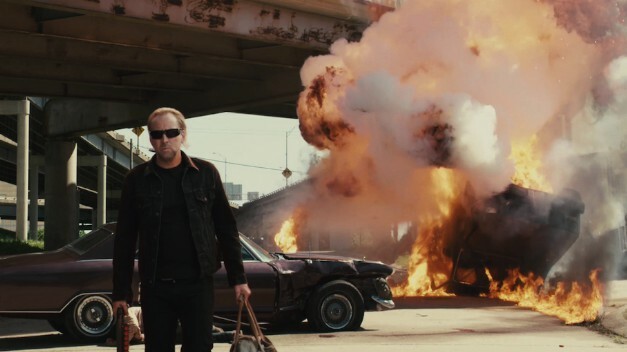 Before I begin, let me get a few things out of the way: There’s absolutely nothing wrong with blowing up a car for the sake of an independent film. If enjoying something go “BOOM!” is a crime, then consider me guilty. There’s also nothing wrong with asking the Internet for help in blowing up said car. But wrapping the project in “Let’s prove Milwaukee is super-duper creative!” and “Show your love for Milwaukee!” rhetoric is icky; it’s clueless at best, and manipulative at worst. Of course, none of this would be a problem if Flipeleven were going it alone—everyone has to sing for their supper, even if it means pretending your song is the only one that can take the city “to the next level.” But the involvement of NEWaukee—a young professional group that serves as the city’s de facto cheerleading squad—gives this event an semi-official stamp of approval that clashes with its civic cluelessness. The city of Milwaukee is already starting to buzz about this production, and major local young professional group Newaukee is teaming up with us to turn this into a spectacular live event! Combining the Capture MKE Awards Ceremony with #CarsplosionMKE will turn an ordinary film shoot into a city-wide rally for creativity! I’m not sure if the city is “starting to buzz” about Get Out Of My Dreams, Blow Up My Car, but that’s beside the point. What confuses me is the “city-wide rally for creativity” thing. It ties in with the second half of the project’s rhetoric: pandering to local pride. Blowing up a car may be cool and all, but it has little to do with Milwaukee’s booming creative class. Here’s some constructive advice: If you think your album/film/practical special effect is up to snuff and worth supporting, have the nerve to let it stand on its own merits without wrapping it in a “Go Milwaukee!” flag. That sort of confidence doesn’t prove we’re on our way up; it proves we’re already there. Lest I be accused of sour grapes (or, even worse, “hating”), I’ll do two things. First, I’ll mention a NEWaukee-sponsored event that provides a much better opportunity to show off some local pride: Saturday’s Wisconsin Avenue Bridge Celebration. From noon to 10 p.m., dozens of events will take place on the recently re-opened downtown artery, including yoga lessons, water activities, and, er, a tug-of-war competition. Setting aside the pretzel-logic of celebrating the opening of a bridge byclosing said bridge, the event seems like a good, wonky time, and a way to bring some positive attention to the oft-maligned heart of the city. Second, I’m pledging $25 to the Dude, Blow Up My Car campaign. (This entitles me to a “free high-definition download of the film and a ‘Special Thanks’ credit in the final film.”) Like I said, I love when things go “Boom!” Who doesn’t?